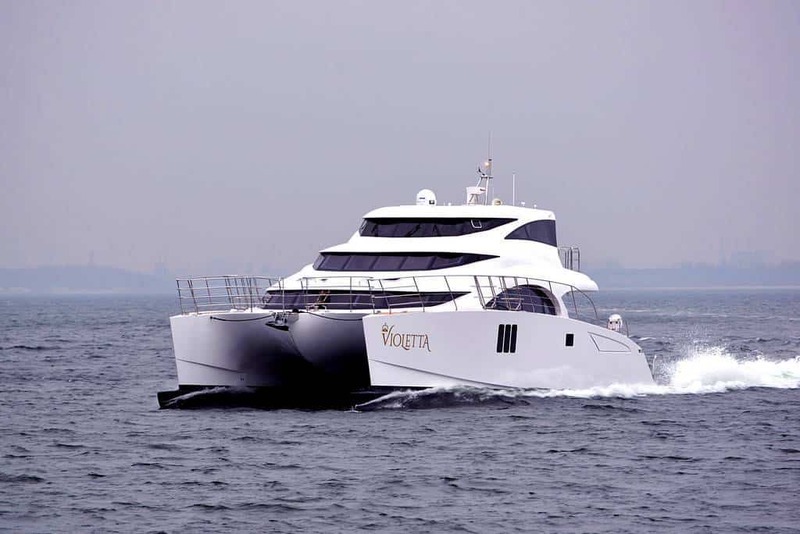 Vicsail is the Sunreef Supreme 70 Power dealer in Australasia. 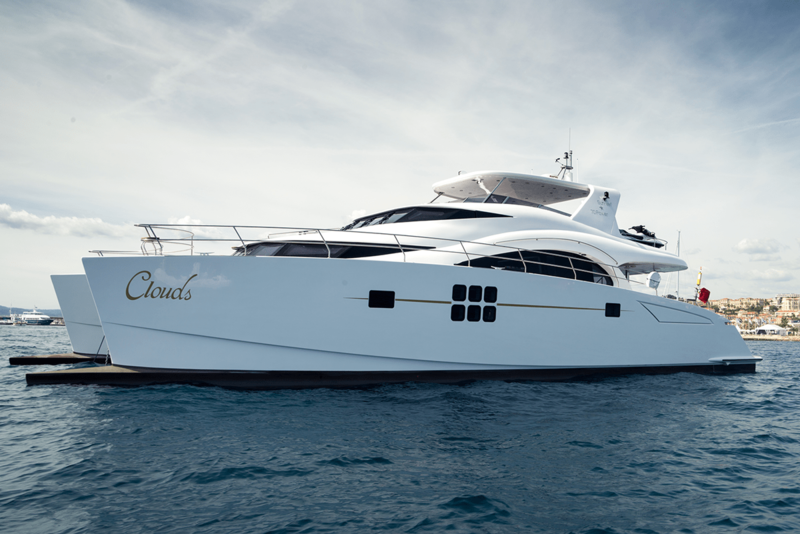 Launched in 2008, the 70 Sunreef Power is the first motor yacht from the Sunreef power range. 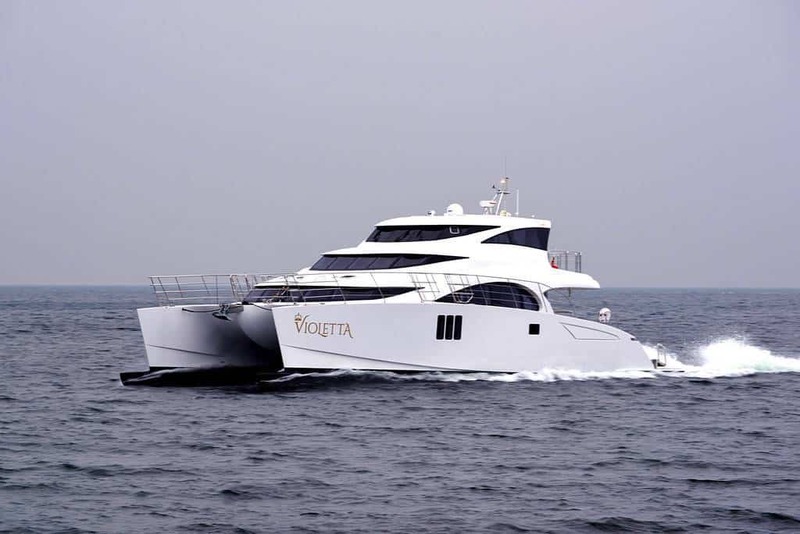 The yacht’s elegant topside, extended interior and exterior space along with its stability, safety, long cruising range with low fuel consumption maintained makes it an ideal vessel for charters, luxury private holidays or long-term travels around the world. 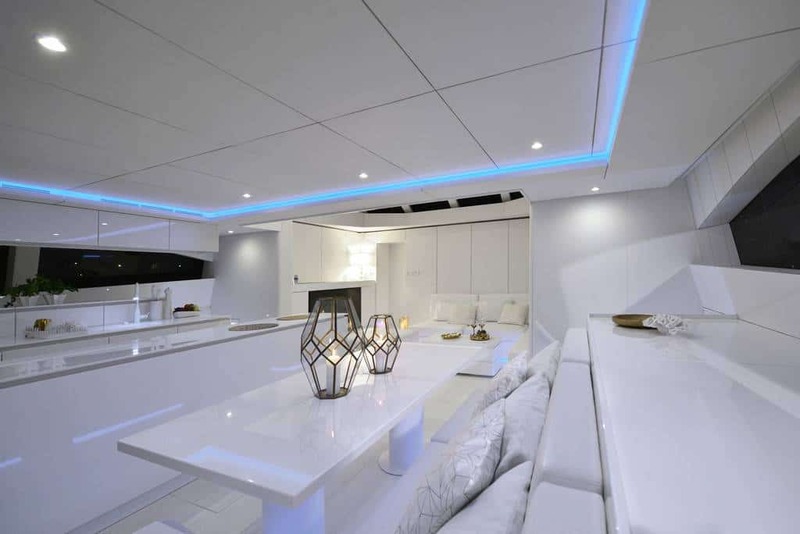 With its totally customised design and finish according to the Client’s wishes, this yacht model can be made in an exclusive version featuring a Jacuzzi and second navigation station on the flybridge, powerful engines, rich and modern interior design, state-of-the-art electronics on board and many other fancy gadgets. 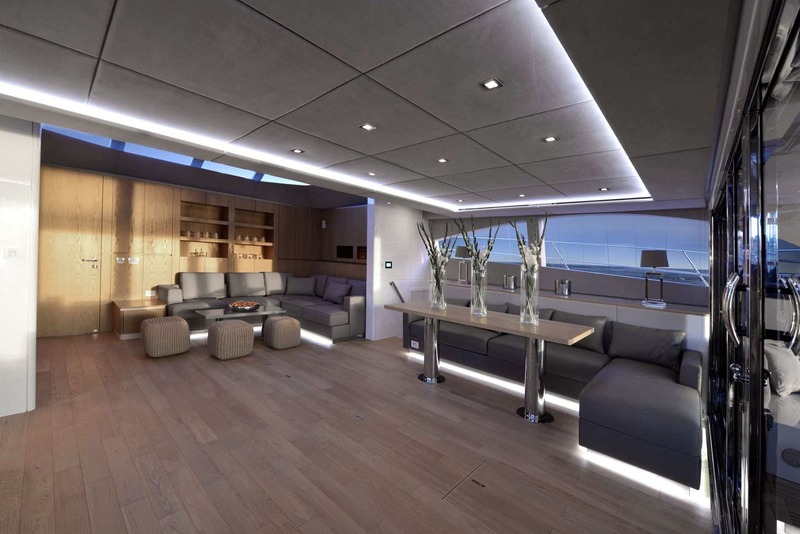 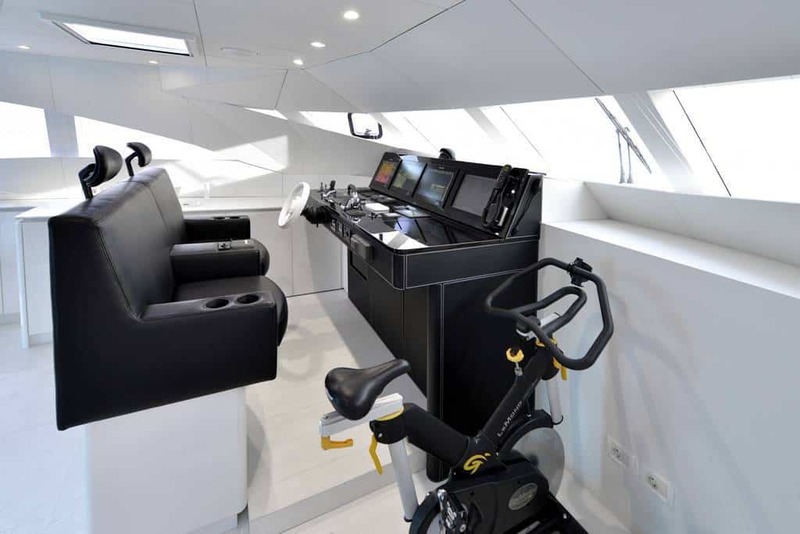 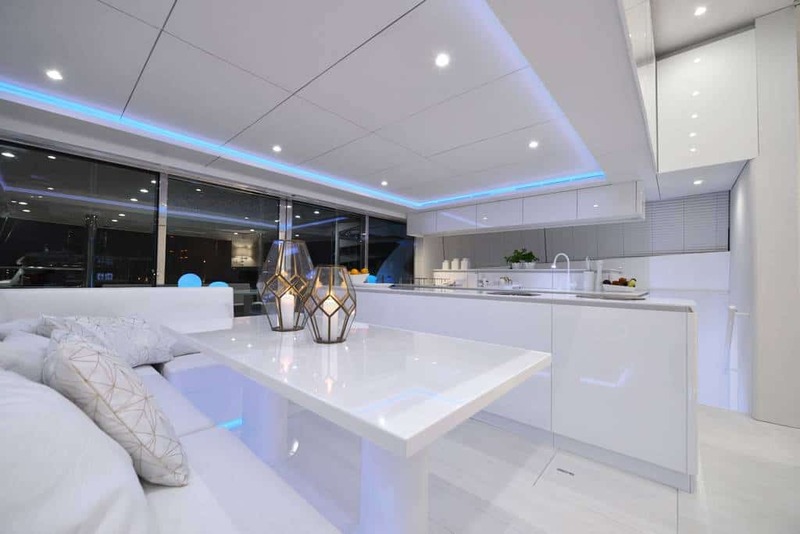 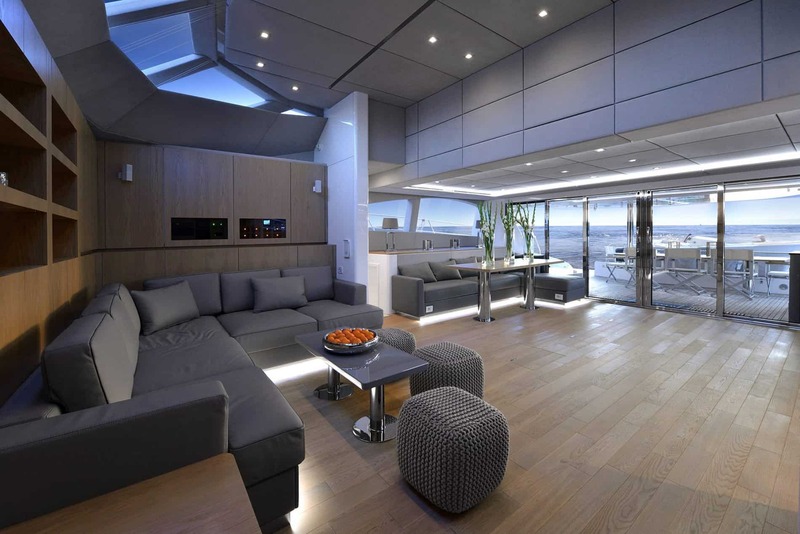 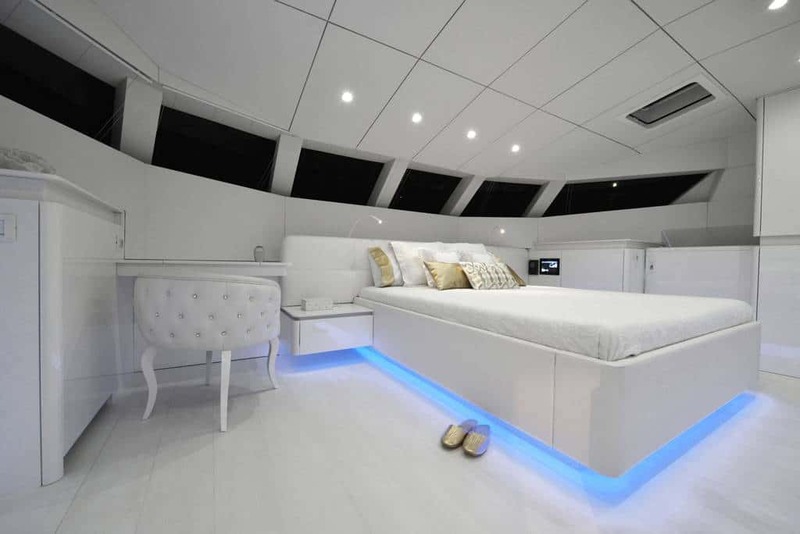 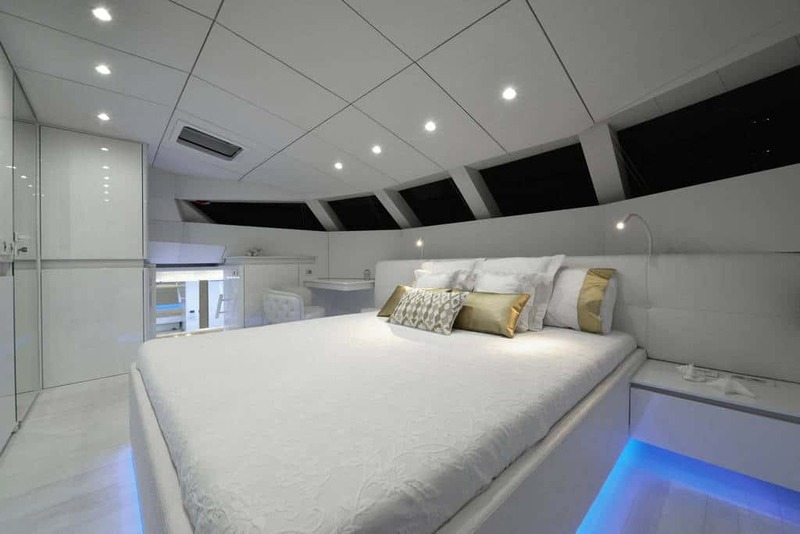 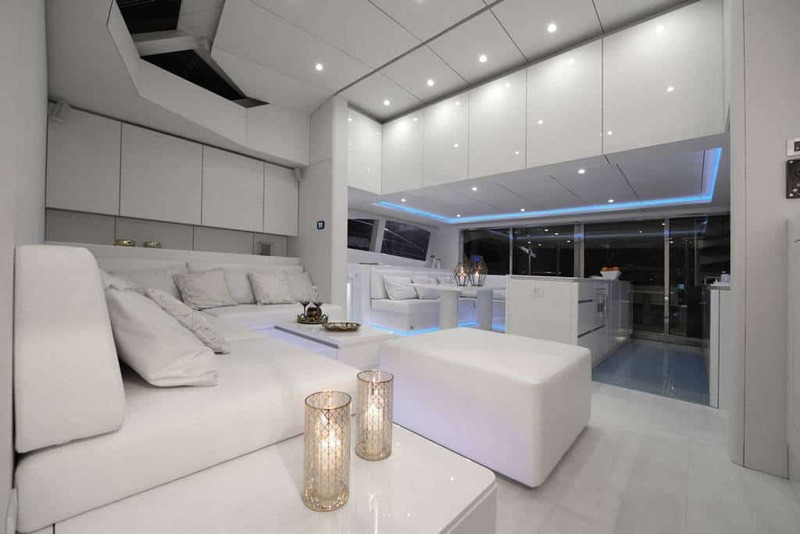 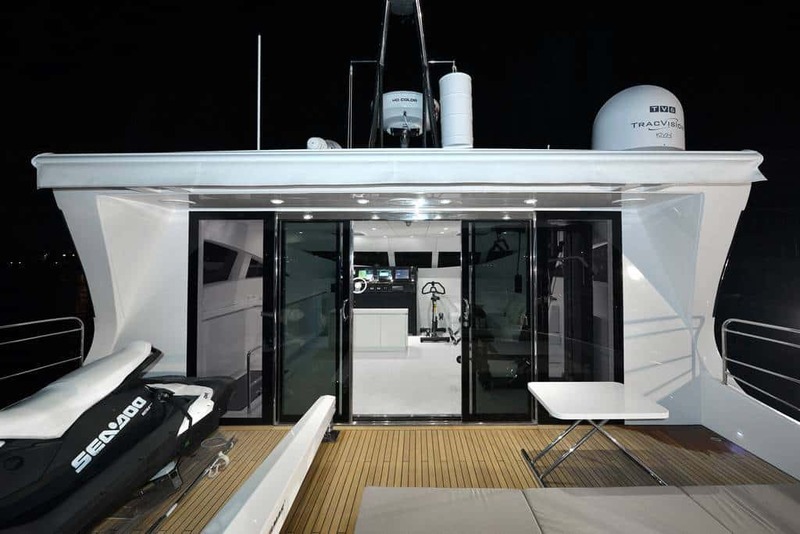 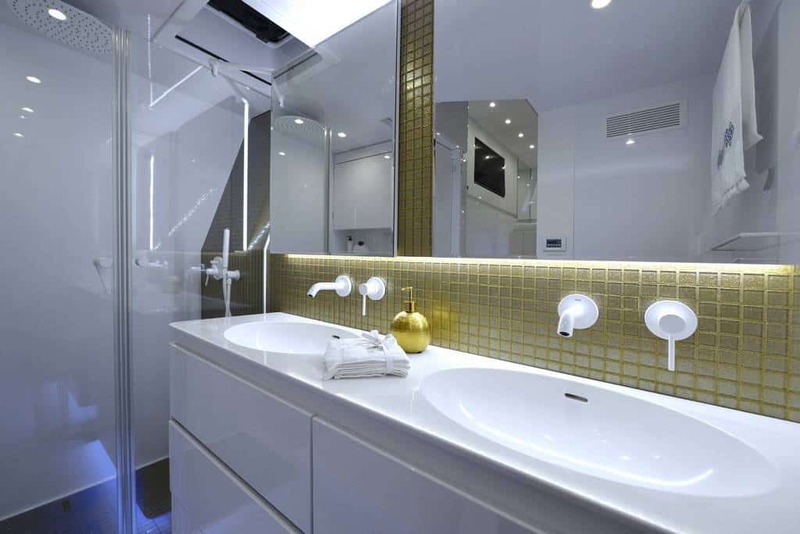 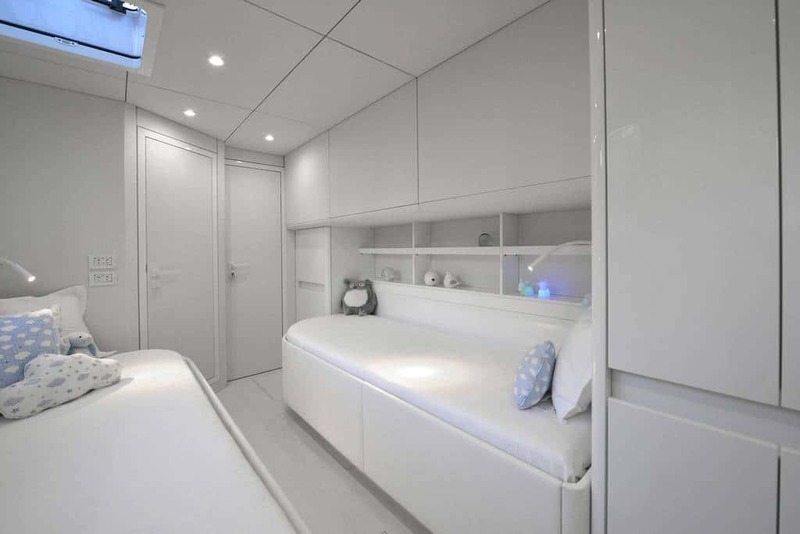 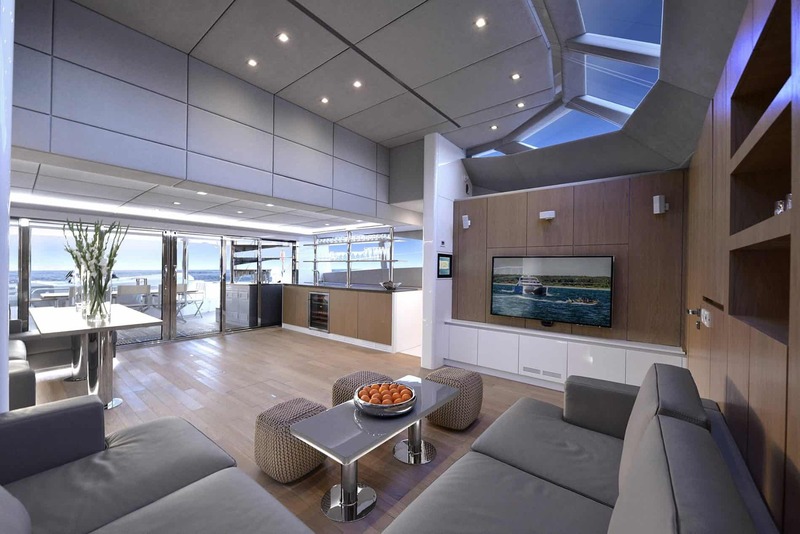 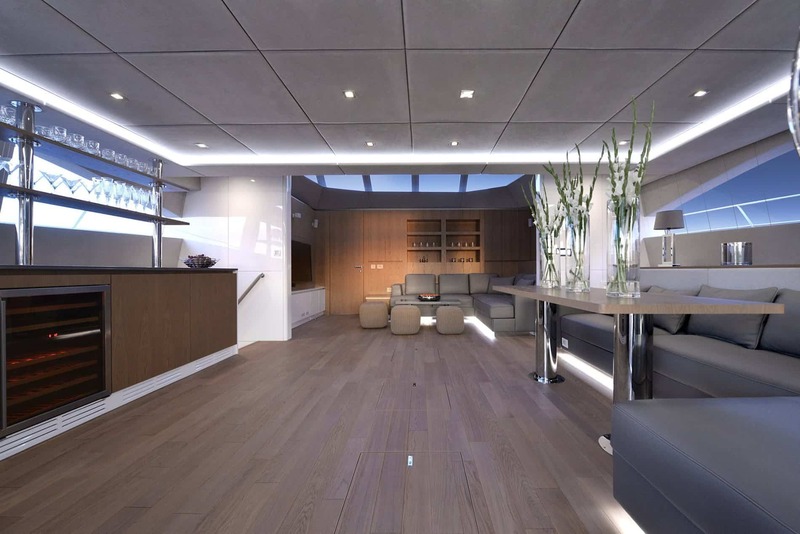 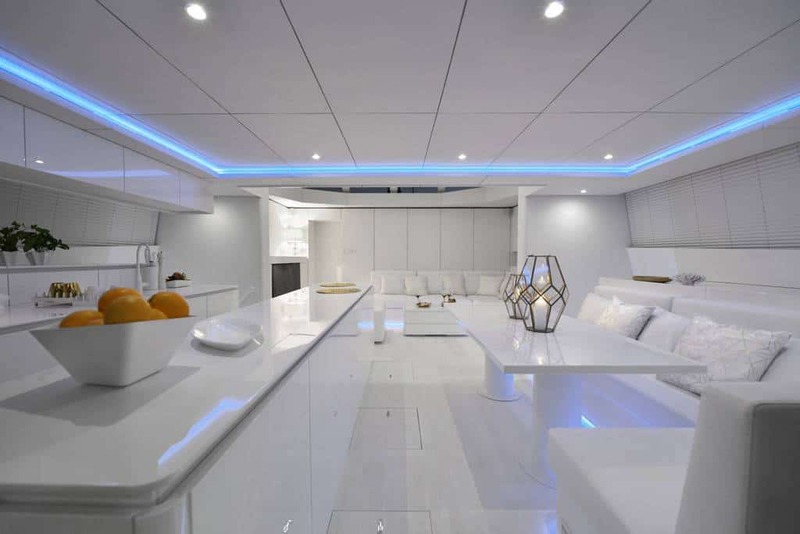 37m² fly bridge, accessible directly from the cockpit and the internal navigation station, with a helm station, and enough space for a large dining area, lounge pads, jet ski with a launching crane, a wet bar and all essential storage space.